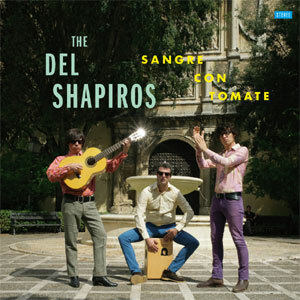 THE DEL SHAPIROS hail from Sevilla, Spain and deliver the latest MUST-HAVE record . As you probably know, every record from screaming apple is A-1 dynamite and this Del Shapiros LP "Sangre Con Tomate" is no exception. Do you.. ...appreciate the more tuneful end of the R&B spectrum? This record is for you! ...dig the rougher side of straight-up Beat? This record is for you! ...fancy a record that gets yer toes a-tappin' and yer shoulders a-twitchin'? 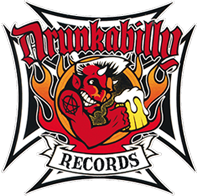 This record is for you! The Del Shapiros have packed 11 great original tunes into this here platter. And by "tunes" I ain't kidding - these are some of the finest original R&Beat numbers to float through my Whig in quite a while! Armed with these great originals, the boys packed up the van and headed to Gijon to record at the esteemed Estudios Circo Perrotti where, with the brilliant assistance of Jorge Explosion's keen ears and highly skilled nob-twiddlin' (girls, take note! ), they hunkered down to create this here migh-tee fine platter. If you like THE KAISERS, THE KINKS and THE MILKSHAKES (and who doesn't?? ?...Seriously, who doesn't?...cuz them might be fightin' words, bub! ), then you definitely need this record! THE DELS somehow manage to walk that same tightrope of precision playing while maintaining a sense of abandon and the results are thrilling and exciting! I also hear similarities to Los Shakers , Los Mockers and other top flight Spanish beat groups. The boys' older brothers acknowledge the new breed with guest appearances by Russ Wilkens (MILKSHAKES) and Esteban Hirschfild (LOS MOCKERS), which is an honor any combo would be proud of. So, whattaya waitin' for? This footlong blastable is both FUN and SMART and will be a welcome addition to yer next rug-cuttin' affair! 03. Have You Seen ?